New York City Council member Rafael Espinal's district stretches from Bushwick to Cypress Hills and encompasses a hotly debated part of the city in East New York which is slated for rezoning and redevelopment. As the city prepares to start work on Mayor De Blasio's controversial housing plan, debates are ongoing about how best to provide homes for long time residents while creating the jobs and other income large developments. Council member Espinal believes one of the pieces of the puzzle is electing a president in 2016 who speaks "from the heart on issues that affect every day New Yorkers, especially those who live in Bushwick and the rest of Brooklyn." That president, of course, is hometown hero Bernie Sanders. 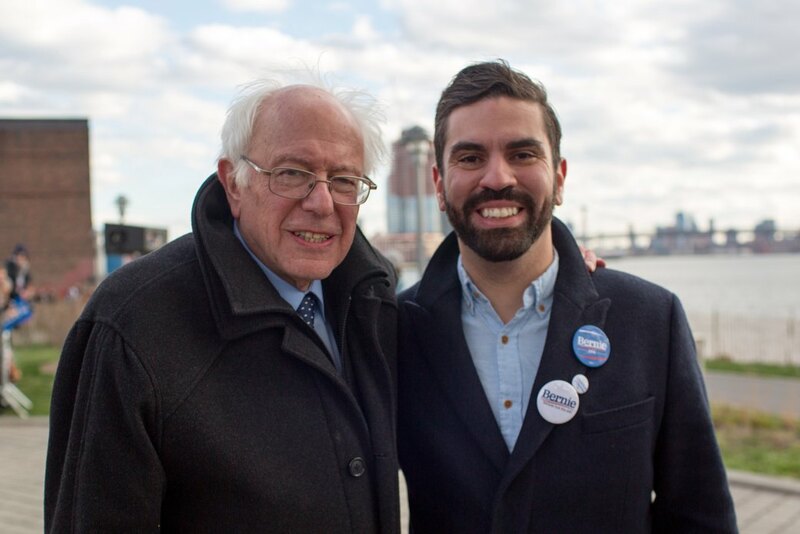 When asked how a Bernie Sanders presidency might impact residents of Bushwick, Espinal reminded us that Sanders is aware of how expensive it is to be poor everyday: "In poor neighborhoods there are no banks, so people cash their checks in check cashing places and end up paying a fee instead of earning interest from a bank, they have a lack of grocery store options and pay more for quality food, and pay rent instead of being able to own a home and gain equity, and if you continue playing out that logic you'll see that it can go on and on. He [Sanders] recognizes and is unafraid to take those issues head on." The rally for Bernie Sanders attended by 27,000 people in Washington Square Park last night makes it easy to dismiss Hillary Clinton's campaign, but Espinal adds that "the truth is Hilary Clinton has a strong political and voter base in this state." The candidates' personal connections to the state make the results of the April 19th primaries difficult to predict. One thing Espinal knows is certain: "New York City will be a real fight, so we must all come out and participate if we want a victory." Stay tuned for Bushwick Daily's polling location map, and be sure to tune in for the debate tonight at any of the watch parties in the neighborhood.